In 2013, doctors in Colombia found unusual tumour cells in the lungs and lymph nodes of a 41-year-old HIV-positive patient. This mystified the medical team who were unable to make sense of the biopsies because although the cells looked like cancer cells, they did not look like any cancer cells they had ever seen before. The cells were crammed into a small space and multiplied very quickly, just like cancer cells, but each cell was approximately only a 10th of the size of standard human cancer cells; some were also fused together, which is very rare for human cells. The Colombian medical team sent samples of the strange tumour to the Centers for Disease Control and Prevention (CDC) for further investigation.It took investigators at the CDC’s Infectious Diseases Pathology Branch (IDPB) almost three years to find the answer. The IDPB dedicated a huge amount of time to trying to find the origin of these cellular oddities, and eventually managed to track the DNA from the strange tumours down to Hymenolepis nana, which is also known as the dwarf tapeworm. H. nana, the most common tapeworm found infecting humans globally, is a transparent platyhelminth measuring up to 40 mm long and 1 mm wide and is commonly found in temperate regions and areas where sanitation and clean water are not readily available. 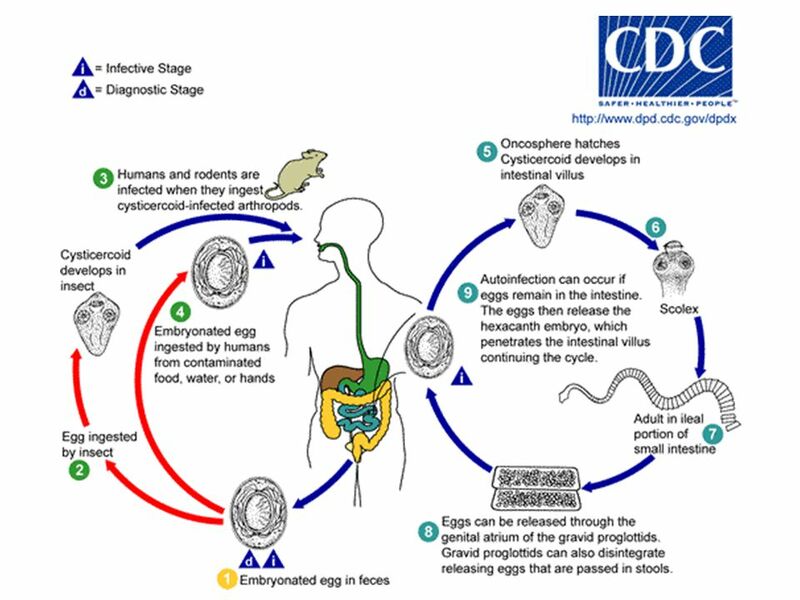 H. nana is the only known tapeworm that can complete its entire life-cycle within the small intestine of a human, and is generally ingested through food infected by rodent droppings or insects, or by accidentally ingesting the faeces of another infected person. particularly dangerous to individuals with a compromised immune system; because they cannot fight the parasite, a huge number could grow and survive in the guts of an infected patient without them even being aware of it as it has little to no effect on the human host. While this is still an isolated case, the implications could be cause for concern, especially due to the prevalence of H. nana in countries where there are also a large number of people with HIV. It certainly deserves further research because it could open up many new avenues of investigation into the as yet undiscovered ways in which cells can become cancerous.